Oz Seals’ Parallel Spring Mechanical Type Seals are highly proficient and widely utilized. The Oz Mechanical Seals (OZ PARDI) covers all standard pump shafts, working lengths and housing size ranges. Oz Mechanical Seals (OZ PARDI) are used in a wide range of applications, ranging from water to food processing to petrochemical, and other demanding functions. 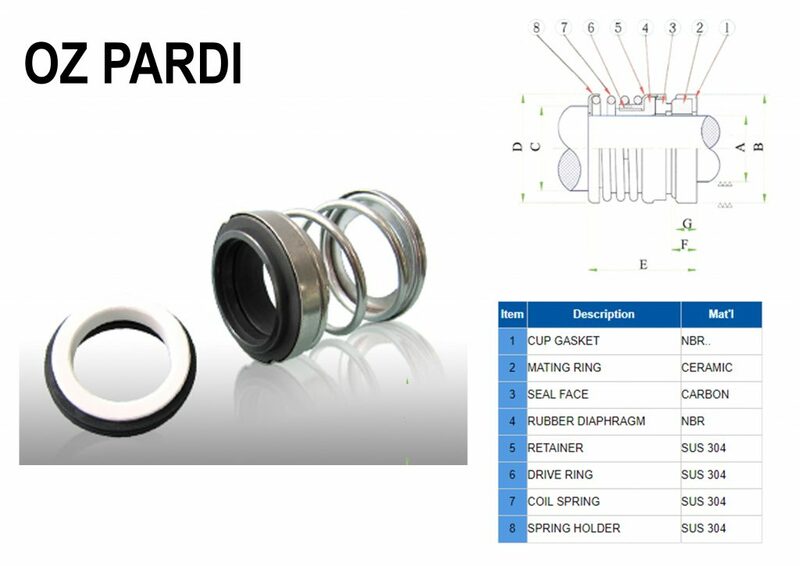 The highly efficient and versatile Oz Mechanical Seals (OZ PARDI) are now listed on our Sealnet web store. If you need further information or want to discuss your sizing requirements, please contact our Brisbane branch on (07) 3290 1846.